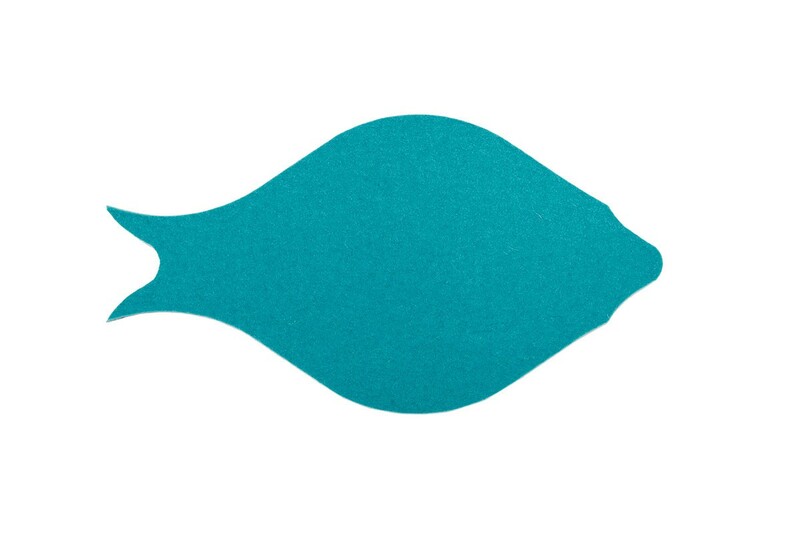 Eva Zeisel didn’t shy away from playfulness and, luckily, neither do we. 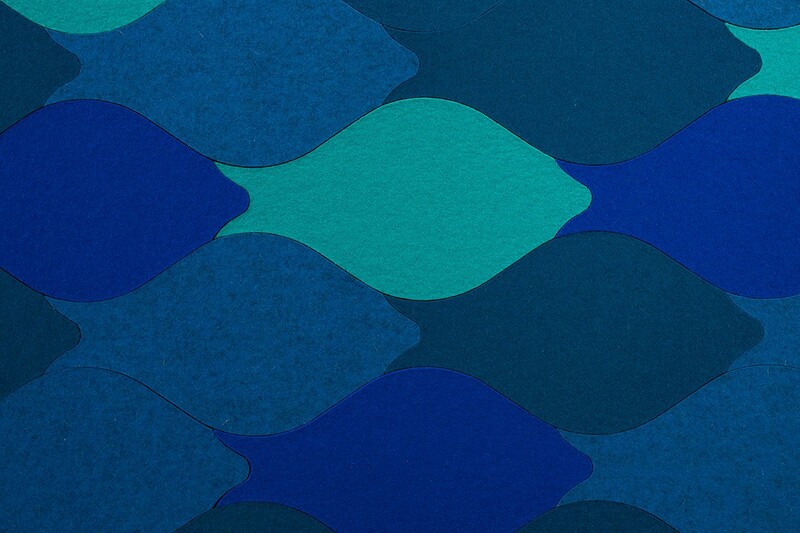 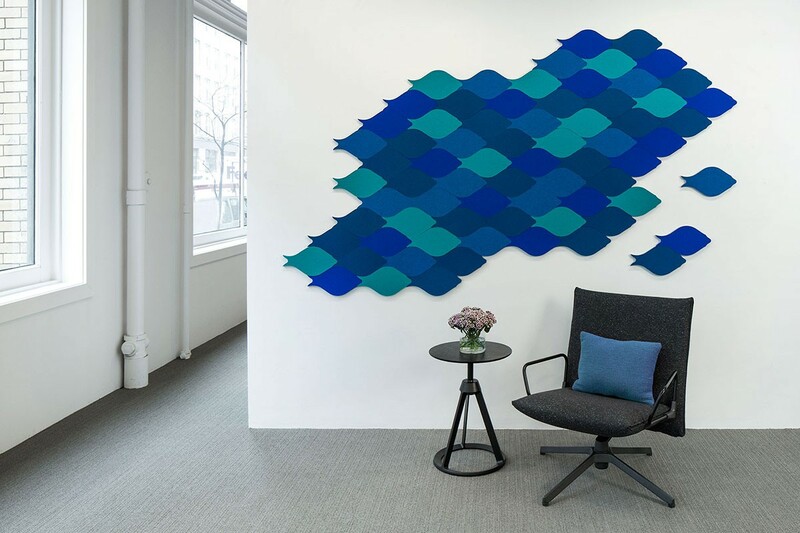 Aligned with its fellows, a school of fish glides across the wall or these acoustic tiles can be rotated to create a subtle scale effect. 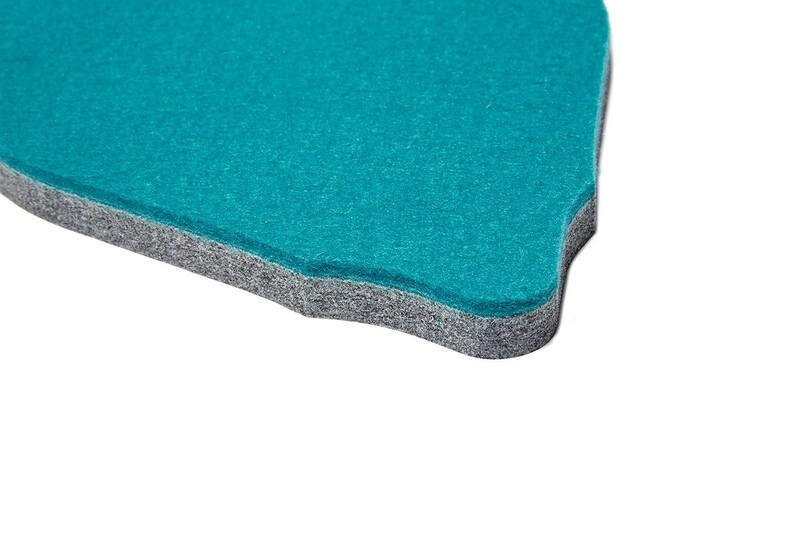 Available in up to 62 colors of 100% Wool Design Felt mounted to a high-performing acoustic substrate, the modular tiles install easily with heavy-duty construction adhesive while providing sound absorption and natural texture.